Sue loves to read, exercise, and read while exercising. She has also been enjoying exploring the mountains and beaches in Southern California. A geneticist, Sue studies genes and the genome (all our genetic information). Her research focuses on transposable elements, which are pieces of DNA that move from one site to another. In the process of moving they often make more copies. All organisms have these pieces of mobile DNA, and they make up a large portion of our genome. Sue wants to know how organisms survive and thrive with all this extra DNA, why it exists, and whether it provides any benefits. Sue was born in the Bronx and lived in a tiny little apartment growing up. Her parents supported her early interest in science, but pushed her to become a medical doctor. As a high school student, Sue had the wonderful opportunity to attend the Bronx High School of Science, and this was an excellent opportunity to get immersed in and excited about science. One of the biggest challenges Sue has faced in her career was a situation where someone in her lab was manipulating data. Fraud has become a very serious issue in science, and it is difficult to keep an eye on everything going on in the lab when you are not working at the bench every day. Fortunately in Sue’s case the inaccurate data were not published, so they didn’t have to worry about retracting papers. Recently, Sue has been focusing a lot on science education and bringing innovations into the classroom. She received an award from the Howard Hughes Medical Institute for a proposal to bring the excitement of science and research into the classroom. Through this project, she transformed her lab into a classroom for dynamic, hands-on learning and is hoping to see greater persistence in science for students who take her course. One place Sue has found really memorable was Africa. She went there with her daughter and they really enjoyed their time in the Okavango Delta in Botswana. It was awesome for her to see some of the grasses she studies in the lab growing in the wild, as well as to see so much wildlife and be surrounded by pristine nature. Every year Sue’s lab has a holiday party where they exchange gag gifts. She has lots of pictures of various strange gifts that people have brought, some of them made out of random lab equipment. Also, early on in her career, she and a bunch of other professors would sit, have coffee, and talk every morning. These casual exchanges really promoted creative thought. When Sue started off in science she was really upset about a situation where someone was taking credit for something that she did. One of her friends gave her the great advice to stay positive, let things go, and have the confidence to know that you will have many more great ideas and accomplishments. Susan is a molecular geneticist known for her contributions to the field of transposon biology, specifically on the roles of plant transposable elements in gene and genome evolution. A native of New York City, she received a bachelor’s degree in biology from SUNY Stony Brook (1974), a Ph.D. in biochemistry from Cornell University (1980) and was a postdoctoral fellow at the Carnegie Institution of Washington (1980-1982). She began her career at the University of Georgia in 1983 where she remained until moving to UC Riverside in 2010. In 2011 she was elected Home Secretary of the National Academy of Sciences, the first women to hold this position in the 150 year history of the Academy. Wessler is co-author of over 120 research articles. She is on the editorial board of Proceedings of the National Academy of Sciences and Current Opinions in Plant Biology. Sue has contributed extensively to educational initiatives, including co-authorship of the widely used genetics textbook, Introduction to Genetic Analysis. As a Howard Hughes Medical Institute Professor (2006), she adapted her research program for the classroom by developing the Dynamic Genome Courses where incoming freshman can experience the excitement of scientific discovery. 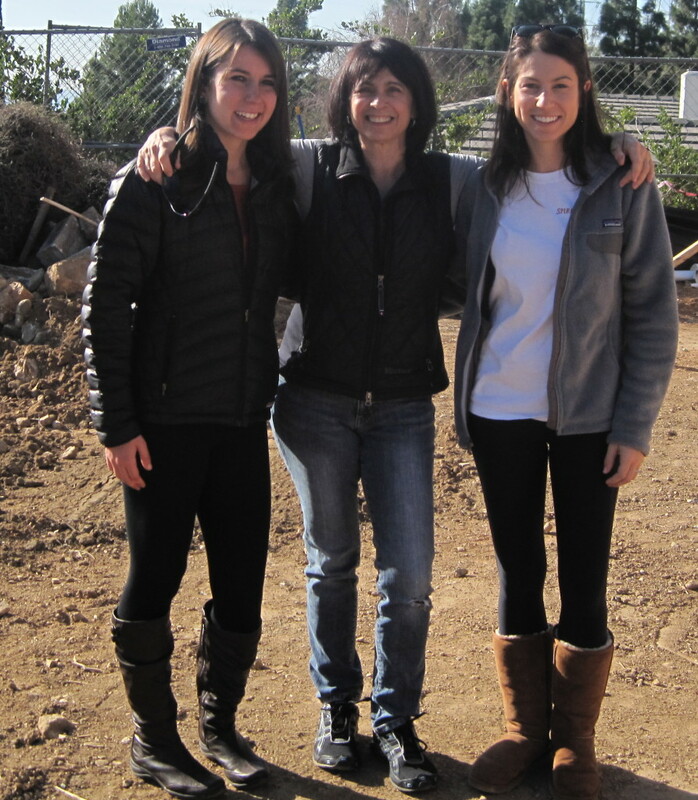 She is the very proud mother of two daughters, Rebecca Schell (22) and Dr. Nicole Evans (29).